Do you want to be part of the largest Free Community event in Central New Hampshire? Well, now is the time!! 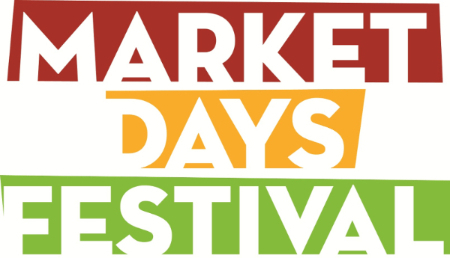 Intown Concord is calling all lovers of Market Days and downtown to volunteer for the 41st Annual Market Days Festival to be held Thursday through Saturday, June 25th – June 27th. We guarantee that as an Intown Concord Market Days volunteer you will have fun and at the same time help to make your city, community and Main Street a place that is enjoyable for all! If you have a few hours on the 26th, 27th or 28th of June to volunteer then contact susan@intownconcord.org. There are a variety of jobs to select from, including being part of the set up team, help with entertainment and logistics as well as clean up on the closing night of Market Days. Intown Concord, a nonprofit whose mission is to promote and enhance the business environment, cultural activities, housing and appearance of historic downtown Concord, depends on volunteers to help with downtown events. The 41st Annual Market Days festival offers three days of free entertainment to over 50,000 people and is a beloved tradition providing summer entertainment to individuals of all ages while supporting our historic downtown. All Intown Concord volunteers will receive orientation prior to the event along with a free Market Days Volunteer t-shirt. Please contactsusan@intownconcord.org or call 603-226-2150 if you, your company or group would like to be part of Intown Concord’s mission to continue to support our downtown.